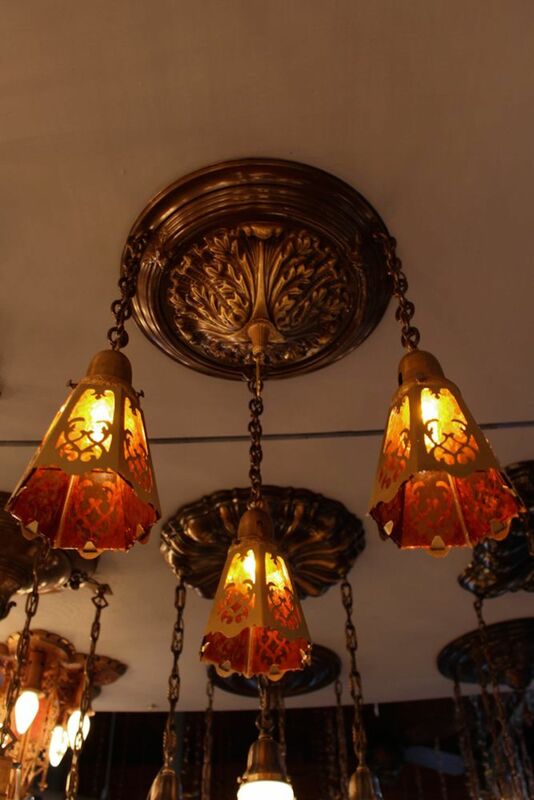 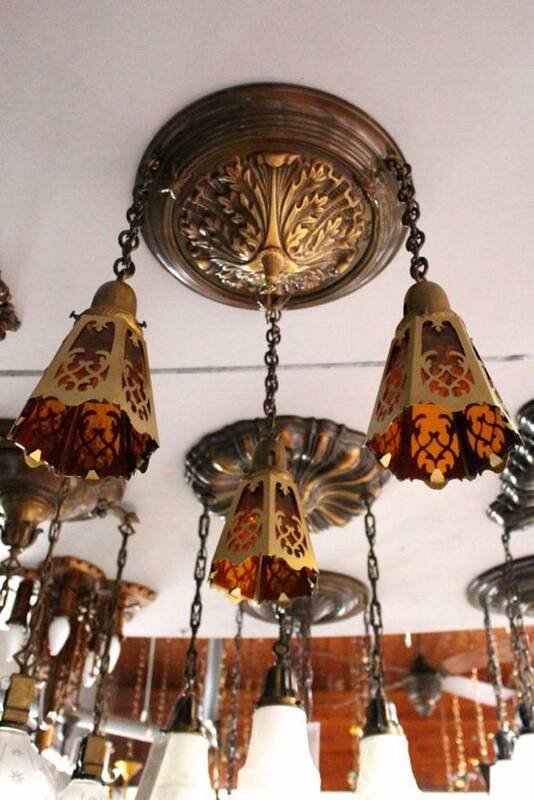 3-Light Deeply Embossed Flush Mount Fixture. 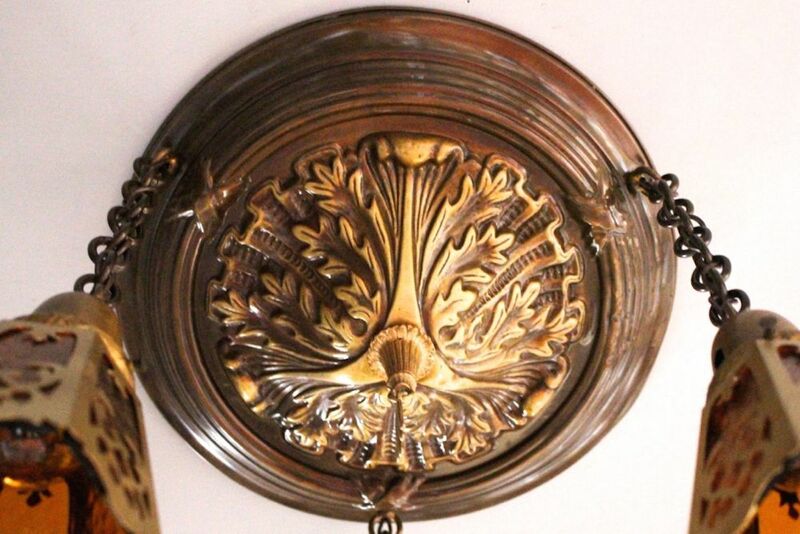 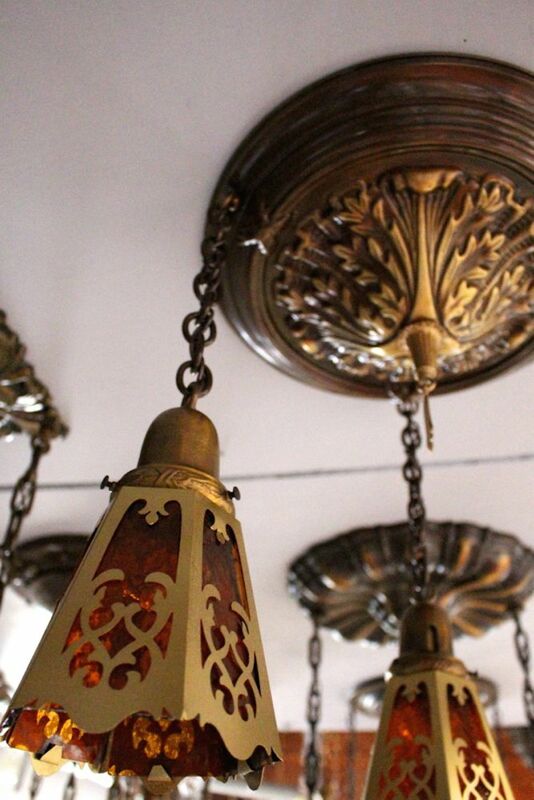 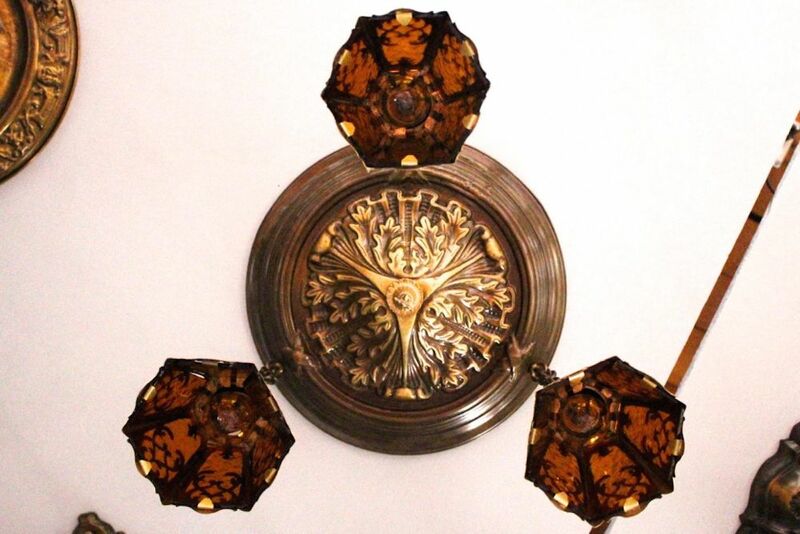 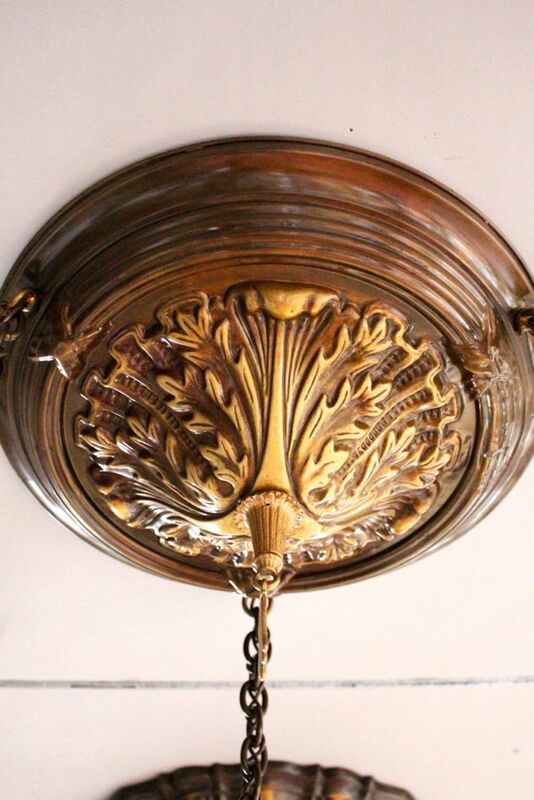 c. 1915, this piece has classical design and a highlighted antique brass finish. 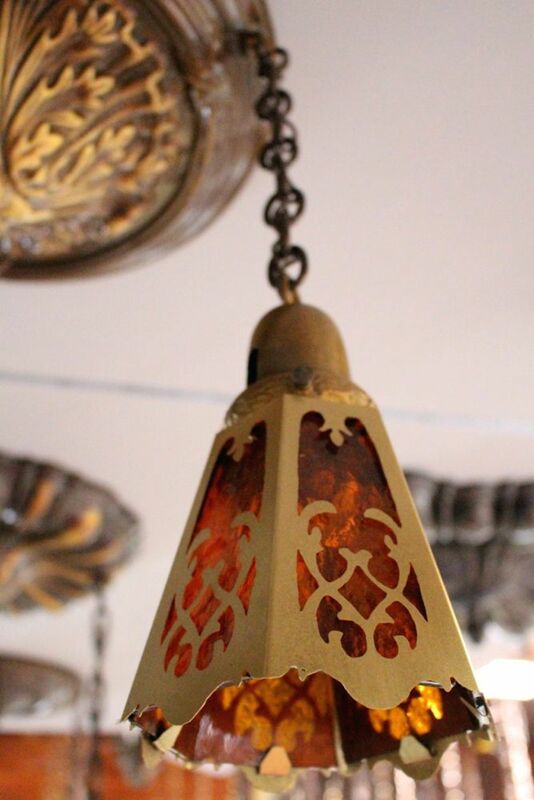 Fitted with cut-out shades with amber cathedral glass.